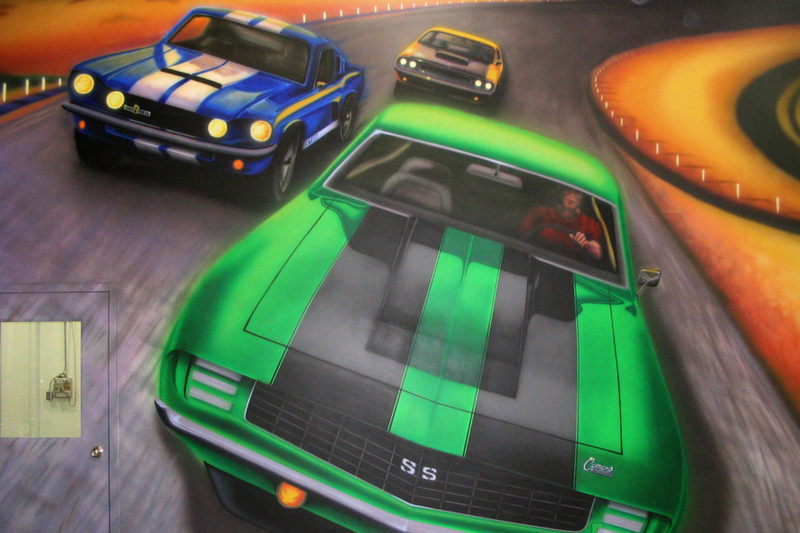 Edge Studio Arts created two large airbrushed murals reaching 22 x 40 feet long, each was intensely fun and enjoyable to create for this custom muscle car showroom. We collaborated with the clients and staged a photo shoot using their stable of muscle cars. We then used the images as a guide and source of inspiration for large murals to showcase their classic cars. The murals wrap around their business walls encompassing real cars on display on the showroom floor.